One of the central concepts in analytical psychology is that of the coniunctio, a Latin term meaning conjunction or union. In essence the idea is this: instead of striving to achieve some elevated form of perfection, i.e. in our personality, profession, or relationships, our innermost need is actually one of wholeness. We long to unite ourselves with that which is missing or “Other.” Only once this union is worked toward and achieved do we feel more complete, more whole and as a result live fuller more authentic lives. In The Myth of the Goddess: Evolution of an Image, authors Anne Baring and Jules Cashford give vivid examples of how this inner archetypal idea(l) of union was collectively imaged throughout much of history as a sacred marriage between a feminine goddess figure and her male lover or god consort. The authors write that this rite of sacred marriage was brought to life in a temple precinct every spring so that a feeling not only of union but re-birth or re-union was produced in participating spectators after a cold and lifeless winter. So, what are some of the opposing images and energies the recent fairy tale-like British royal wedding might be uniting and thereby “carrying” for today’s soul in the Western world? Look again at the above photo before considering the following list. Assuredly, this list could be longer. It has been put together to hopefully facilitate a deeper appreciation for why an event like the royal wedding has such a powerful hold on our imagination. Perhaps many if not most spectators of these nuptials are unaware of either the underlying archetypal power of the opposites or the psyche’s related desire for an image of wholeness and balance. (This, of course, was one of the inspirations for the present post — to make this power and desire more conscious). In short, it is most unfortunate that the discussion of marriage so often falls back on a literalism born of ego-based fears when a deeper and more sacred appreciation of the psyche or soul is available to us here and now. A more symbolic or psychological understanding of reality would reveal this truism: regardless of one’s sexual orientation only through an acceptance of and a union with what’s missing, i.e. the “Other,” is authentic wholeness attainable on the human plane. Addendum: Much more could be said in support of a symbolic rather than literalistic understanding of the royal marriage. For example, “right” and “left” were added to the above list of opposites when Mythfire realized that the bride with all of her symbolic traits traditionally stands to the left of the groom during the wedding ceremony as well as on other occasions. Also, in many countries the wedding ring is placed on the ring finger of the left hand which for millennia has been associated with the heart, feeling, and the sometimes dark and scary unknown, i.e. the contents of the unconscious. 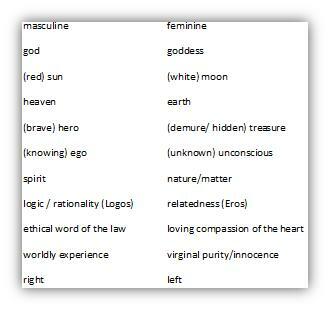 In other words, via the wedding ring, we see that the energies in the “right”column such as ego, logic, et cetera, must serve, honor, and relate meaningfully to those in the “left” if a true union or coniunctio is to occur. Baring, Anne and Jules Cashford. The Myth of the Goddess: Evolution of an Image. London: Viking, 1991: 479. Projected to draw two billion viewers worldwide, the ceremony was watched by at least twenty-four million people in the U.K., (http://www.variety.com/article/VR1118036201?refCatId=4076&query=William+and+Kate+wedding), a number almost matched in the U.S. (http://www.variety.com/article/VR1118036195?refCatId=14&query=William+and+Kate+wedding). 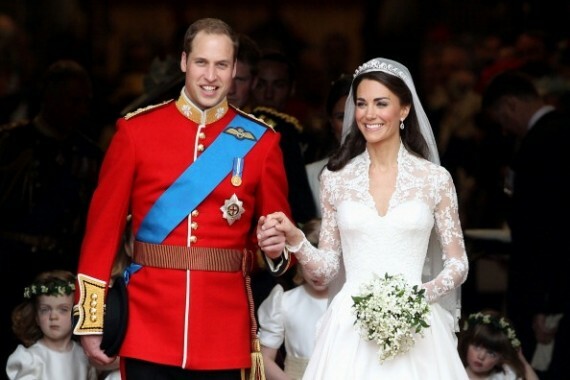 For anyone who wishes to see (or relive) the highlights, one place to turn is here: http://www.pbs.org/newshour/rundown/2011/04/watch-royal-wedding.html. Or, if you really just want to see some of the fancy hats worn to the wedding, search no more: http://www.newnownext.com/2011/04/29/royal-wedding-pics-hats-silly-excessive-but-so-much-fun-to-watch-congrats-will-kate/. Ibid., 657. Also, to the degree that viewers have wondered what kind of offspring Will and Kate will have they may be giving voice to another archetypal notion: the coniunctio or union of opposites gives birth to a divine child, i.e. someone in whom the opposites function naturally, harmoniously, and creatively. While preparing this post, Mythfire inadvertently discovered another archetypal dynamic at work during the royal marriage: adulation. A footnote from Jung was discovered in some of his alchemical writings — which superficially have little to do with sacred marriage: “Adulatio [the Latin term for adulation] usually refers to the love-play of the royal marriage.” It is almost impossible to read this statement without thinking of the royal newlyweds kissing not once but twice – to the delight of spectators below. For the quote see CW 13: 441, fn. 12. This entry was posted in Culture, Depth Psychology, Fundamentalism/Literalism, Myth. Bookmark the permalink.